Rachel Rouhana followed a dream and created Haute Stock, a business that at its core is about helping other women succeed in online spaces so their businesses can grow and thrive. Haute Stock is a membership stock photography site full of images that are not only totally gorgeous, but relevant to business owners. So of course, we had tons of beautiful content to work with for Haute Stock's website rebrand! 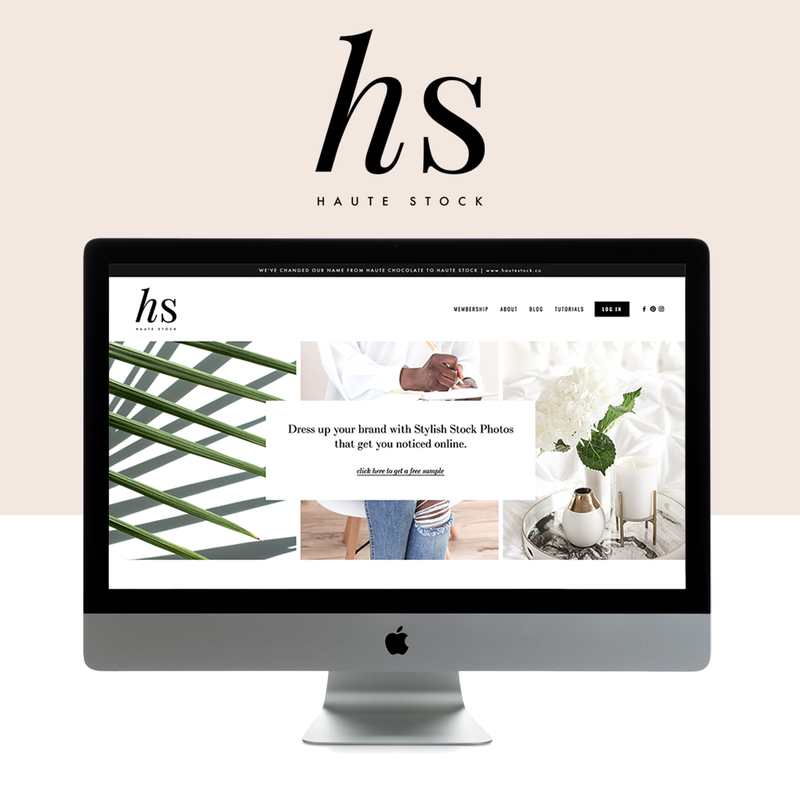 We worked with Rachel on a Custom Design to elevate the look of the Haute Stock website, going for a more sleek and professional vibe. We implemented gorgeous Serif Fonts throughout, and stuck with neutral black-and-white imagery with pops of gold and greenery. Check out our Q&A with Rachel about her Restyle! We love that Rachel's dream of owning her own business is one that also helps other business owners thrive! "Knowing that we’ve created a service that helps women from all over the world show up online and build their business is what keeps me going when things get difficult." Rachel: I've always loved the world of entrepreneurship, and I knew I wanted to start my own business one day. I love working with and learning from women who are following their dreams and living life on their own terms. So when I saw the opportunity to start a business creating images and graphics to help women entrepreneurs build beautiful brands and grow their online businesses, it felt like the perfect fit! Rachel: I didn't study photography or design at school — I have a degree in sociology! My first real business was an Etsy shop selling printable invitations and party decorations. I taught myself graphic design to run that business (mostly by watching free YouTube videos and spending countless hours in Photoshop), so when I had the idea to start the Styled Stock Library, it didn't really phase me that I knew nothing about styling or photography — I figured I could learn! When I first started, there were no other styled stock photography membership sites for women entrepreneurs, but there was so much demand for feminine imagery that I knew I had to teach myself how to do it—and fast. I had the idea for the membership library before I had even styled or photographed a single image. It was one of those situations where you just follow your gut even though logically it didn't make sense! Rachel: There have been so many lessons! I think one of the most important has been to push through uncertainty and fear, and just keep moving forward. As an entrepreneur, you’re constantly making decisions and putting yourself and your product / service out into the world without knowing how it’s going to be received. That can be scary. I think it’s important to always make decisions from a place of integrity and know that even if it doesn’t work out the way you thought it would, there’s always a lesson to build on for next time. Rachel: Hire help! I did everything myself for too long. Looking back, I could have scaled faster and been way less stressed if I would have invested in growing a team or outsourcing in the earlier stages of my business. That said, I learned a lot of skills in the early days from how to build a website, to marketing and customer service (and all the little things in between). Finally though, I reached a point where I was completely overwhelmed and I made the leap into growing a team and hiring experts for specific projects. It was one of the best decisions I made in my business. GO LIVE: WHAT WAS THE MOMENT YOU HAD WHEN YOU SAID, "I SHOULD DO THIS", OR WHAT MADE YOU TAKE THE JUMP INTO WORKING FOR YOURSELF? Rachel: My maternity leave was coming to an end after the birth of my son, and I couldn't imagine going back to work full-time and putting him in daycare. I had always wanted to start my own business, but kept talking myself out of it because it felt so overwhelming. I was at a cross-roads and my desire to stay home with him while working for myself was what made me finally make the jump. Rachel: I find what I do incredibly fulfilling — both personally and creatively. Knowing that we’ve created a service that helps women from all over the world show up online and build their business is what keeps me going when things get difficult (which inevitably they will sometimes). I also love that I have the freedom to schedule my work around family time, and that my kids get to see me working every day on something that I’m truly passionate about. 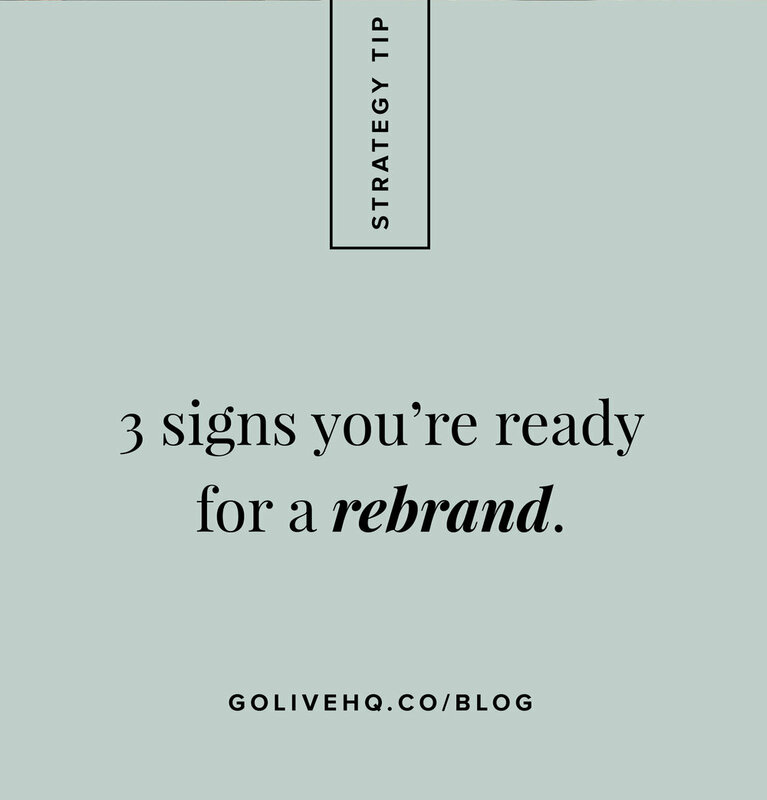 Rachel: I have been following Go Live for a while and I love the energy behind the brand! I also loved that you specialize in Squarespace, which I've been using for years. The fact that my design would be done in a week sealed the deal! Follow Haute Stock on Instagram for more pretty photos!